Hello from Spain: I just discovered your blog and I like your dolls and pics. 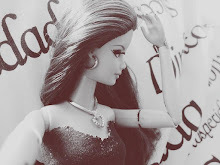 Right now I have a blog dedicated to Barbies dolls that I invite you to visit: http://all4barbie.blogspot.com.es/ If you want we keep in touch. I already made me a follower of your blog.